Living with scoliosis can impact your quality of life due to pain, mobility, and self-esteem issues. At Chiropractic Health and Wellness Center in Sterling, Virginia, Dr. Charles Arndt and Dr. Debarun Borthakur offer a chiropractic and rehabilitative approach to treating scoliosis. Treating the whole patient, not just scoliosis, transparently and educationally provides better results with less pain and discomfort. Contact the office for an appointment today. How can chiropractic care help with my scoliosis? Scoliosis is a spinal deformity that is idiopathic in nature, meaning that there is no known cause. There is also no cure. According to the National Scoliosis Foundation, an estimated seven million Americans suffer from this condition, in varying levels of dysfunction. Scoliosis is a multifactorial disorder, affecting many aspects of a person’s health and well-being. 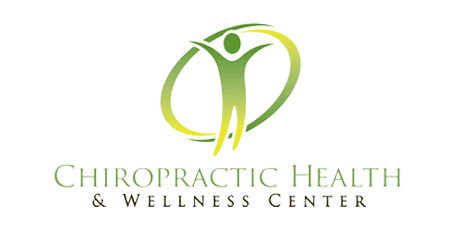 Chiropractic care that focuses on the entire body, like what Chiropractic Health and Wellness Center provides, can have a positive impact on the condition. Chiropractic care can help improve the stress that curvature of the spine has on the body. Often, the body tries to compensate in other ways for the curved spine, causing problems in posture, movement, and pain levels. Using various techniques, the practitioners at Chiropractic Health and Wellness Center customize a treatment plan that can improve your specific issues and help manage your scoliosis. Is there research showing chiropractic care is effective for managing scoliosis? Yes. One study published in the Journal of Chiropractic Medicine in September 2011 reported on adult scoliosis patients treated with an exercise-based chiropractic program for six months. Patients showed improvements in pain scores and disability ratings, both immediately after treatment and 24 months later. What types of treatments at Chiropractic Health and Wellness Center can help my scoliosis? At Chiropractic Health and Wellness Center, the practitioner handling your case approaches you as an individual, so your care will be tailored to your needs. Spinal adjustments may be used, as well as exercises or postural therapies that can help improve your symptoms and overall mobility. A computerized X-ray analysis will be used to monitor your progress. This system allows your provider to accurately compare your spine to normal, and monitor changes in your spine as they work toward correcting it. You're a partner in your therapy, receiving education on your condition and how chiropractic care can benefit your health and quality of life. The goal is to use a combination of treatments that will give you the best results based on your needs.